I am thrilled to be participating in my very first blog circle for the next few months with some fellow members of the Light Inspired Forum. Although I have only been a member of this forum for a couple of months, it has quickly become a favorite since the themes are inspiring and it challenges me to look at my life from a different perspective. All too often life moves at too quickly a pace, and I just miss things. I miss moments. And sometimes I miss joy. 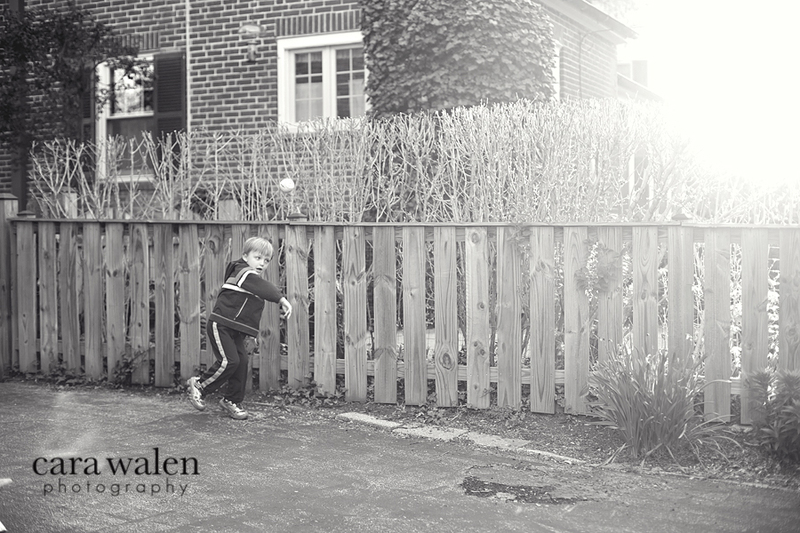 The theme for this blog circle is our Little Boys. I jumped in to this circle because duh - I have a three-and-a-half year old son. Who won't pose for me willingly. But is 10000% boy and this challenge is to capture who they are, dirt and all. I am also married to the Athletic Director at Towson High School. So it is safe to say sports plays a huge role in our lives. Our family time is dictated by it, the kids activities are largely influenced by it, and some kind of sporting activity occurs every day. 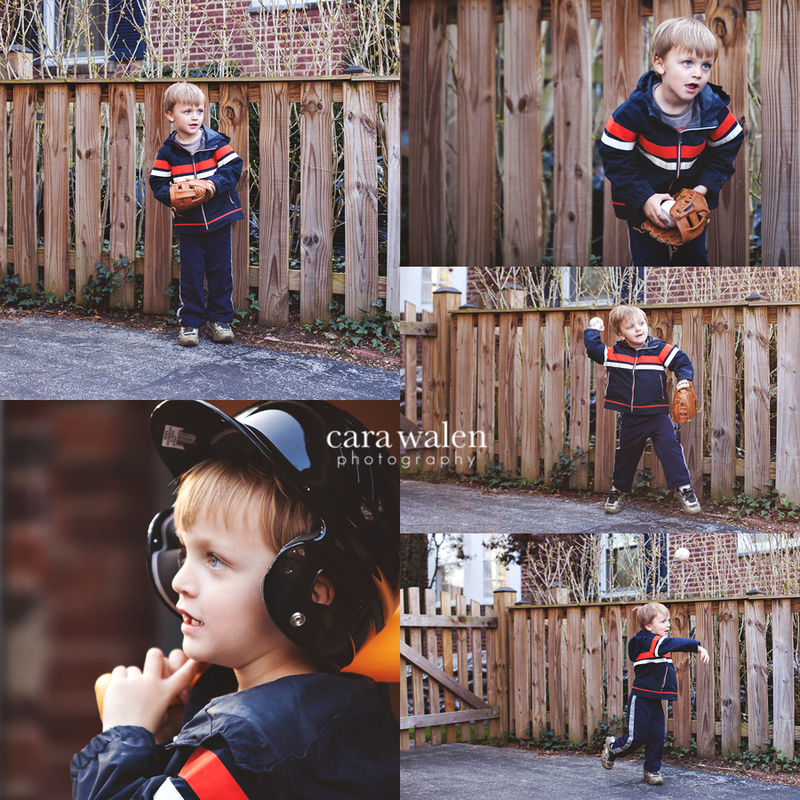 He is, like most little boys, completely obsessed with whatever his father does, and that includes baseball. My husband still plays competitive baseball for an over 30 baseball league. So from April - August, every weekend involves a baseball game where my kids see daddy pitch. All of the above means that Luke spends an awful lot of time in our backyard playing baseball, 'trying' to emulate his father's wind-up. His stance. His throw. His delivery. Complicating matters is that while dad is a lefty, Luke is a righty. We spent most of last summer trying to explain how a righty wears his glove on his left hand and throws with his right; it was complicated because dad threw with his left and wore his glove on his right hand. But alas, I think he's starting to understand that part. Sometimes he makes a pretty good throw. Other times, not so much. He's only three after all. 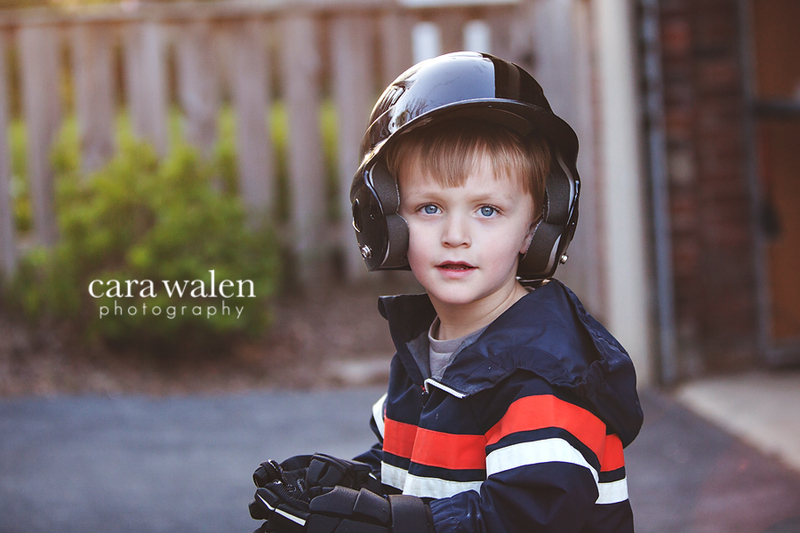 Sometimes he gets confused and will pitch wearing his batting helmet. 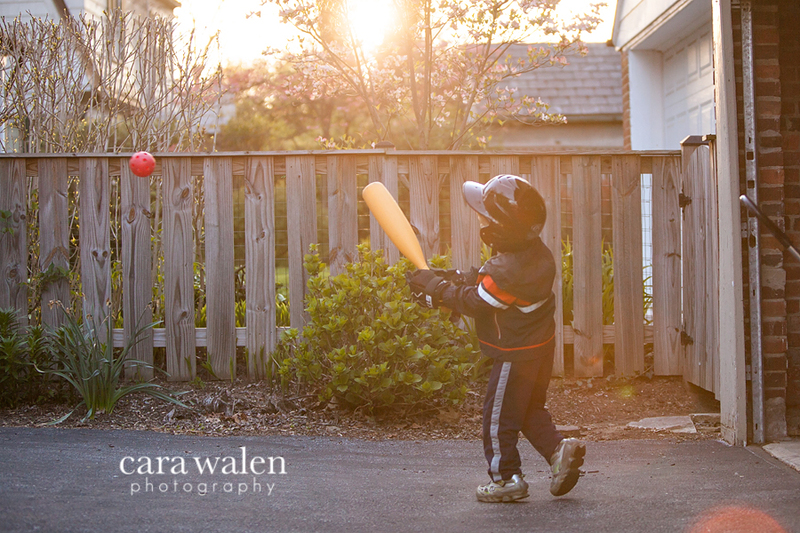 Sometimes he will bat with his lacrosse helmet on. 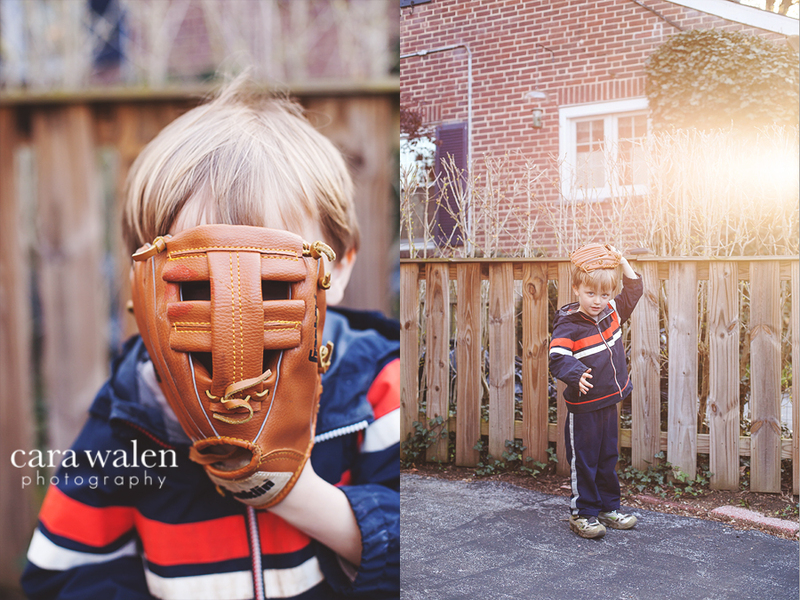 At times you will see him bat with his lacrosse gloves on. And that's OK. Sports can be confusing, with all that strange gear and whatnot. 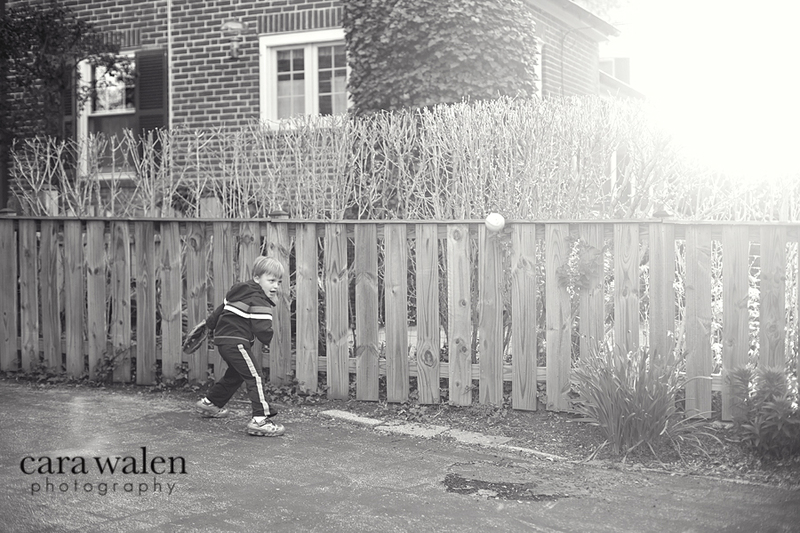 A three year old doesn't know that he shouldn't bat with his pee wee tennis racquet. Sports with my son (and my daughter, for that matter) will be an amazing journey. 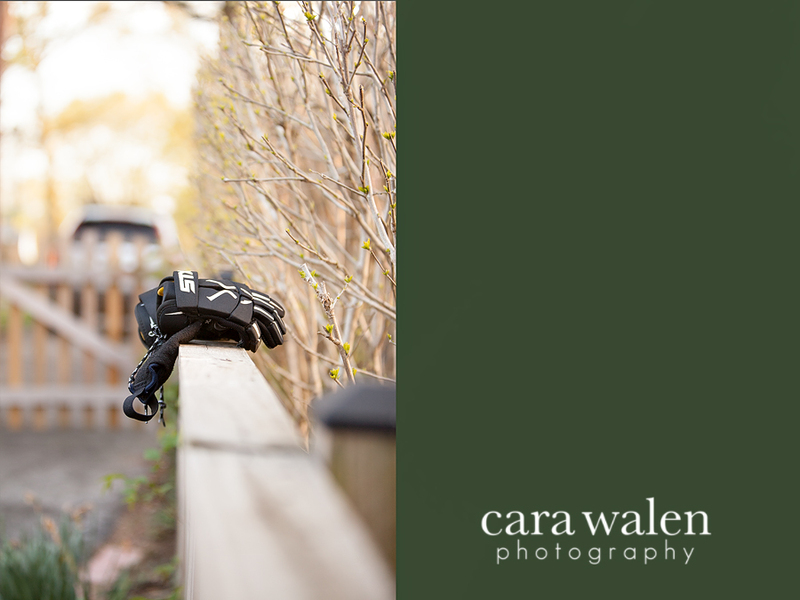 Be sure to check out Felicia Mcternan Photography for more amazing work!